As a teenager, I mowed grass for a living. I certainly did not have the skills that full-time landscapers have… I just mowed grass. But later in life when I had a disability, the entrepreneur side of me came to a screeching halt… you know, because I had a disability and all. WAIT! What is wrong with this picture? Over the past 25 years, since the signing of the Americans with Disabilities Act, we’ve started to see more people in the workforce that have disabilities. However, I think a lot of us are still under the impression that a person with a disability is not able to run their own business (myself included at one time). Starting and operating one’s own business is a large endeavor, but with the advances in accessibility and technology, it’s quite possible regardless of ability. Much like the company Shredding On The Go, a successful business owned AND operated by an individual with a disability, the opportunities are available in this great nation. Often times a person with a disability requires time flexibility to meet certain needs. Perhaps they are not able to commute 5 days per week. Perhaps they need working conditions to be more suitable to accommodate a disability. Whatever the reason, it might be beneficial to consider going the entrepreneurial route to full-time employment. Fortunately there are several resources available to help with starting and operating your own business. A beginning point might be through the Small Business Association for people with Disabilities website that provides a wealth of information on starting your own business. By accessing this link, you’ll find information that is focused on persons with disabilities starting their own business. Information is provided about resources available as well as other things to consider. Another great website is Disability.gov guide to Self-Employment. By accessing this link you’ll find information on developing a written business plan, and you’ll find online tutorials on how to create a website to market your business. Abilities.org provides information on choosing what type of business may be feasible for you, maintaining the business you’ve selected, and other great information, all focused on entrepreneurs with a disability. Are you concerned about how operating your own business might affect any social security benefits you currently receive? No problem, the following link provides information about that very subject: Self-Employment – Social Security Disability Insurance. Accordingly there are several incentives that are provided by Social Security Disability Insurance to help you become independent. So, the resources are available to help you with the possibility of starting, maintaining and growing a business of your own. What’s not provided is the desire or determination it takes to run a business. That comes from you, IF you choose to accept this mission (don’t worry, this message will not self-destruct). 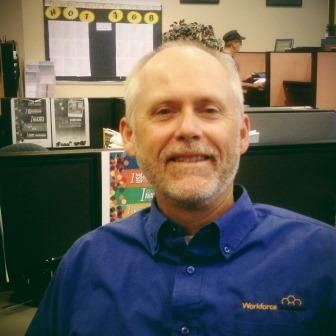 David Spears is a member of the Workforce SolutionsNavigator team for the Texas Gulf Coast Region. Combining training and education to real world examples, David brings personal and professional experience with disabilities to the table in order to help job seekers with disabilities realize their potential. David has a Bachelor’s of Science degree in Business Administration with over 20 years of experience in the business world.